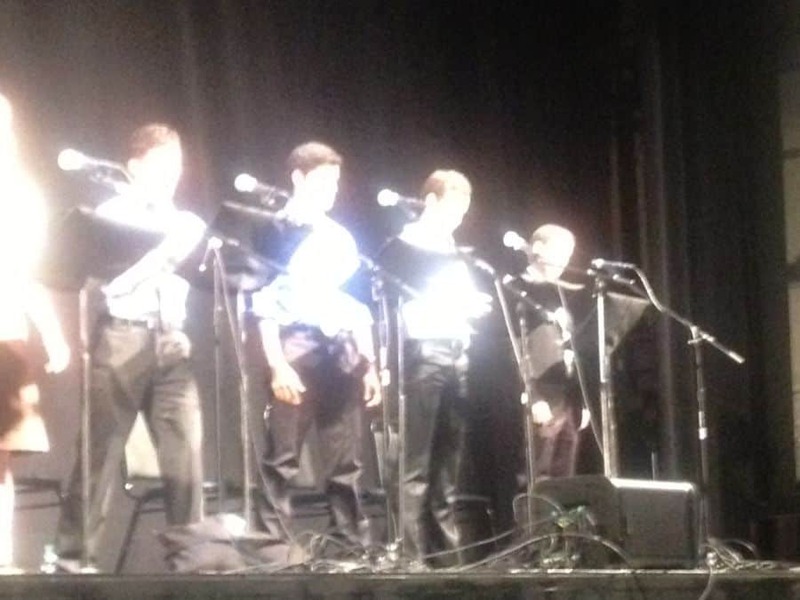 Temple of the Arts at the Saban Theater in Beverly Hills, led by rabbi David Baron, is a fun place to visit. It is a theatre temple or a temple theatre. The service is uplifting and melodic and the program is always surprising. And that exactly what took place last Friday the special ‘Shabbat of Comfort’. After the usual prayer, lighting of the candles, the blessing on the Hallah bread and wine and songs, there were two very pleasant surprises. The performance of the Mwamba Children’s Choir and White Rose, a onetime performance, guerilla production, rehearsed and put together in short few days. 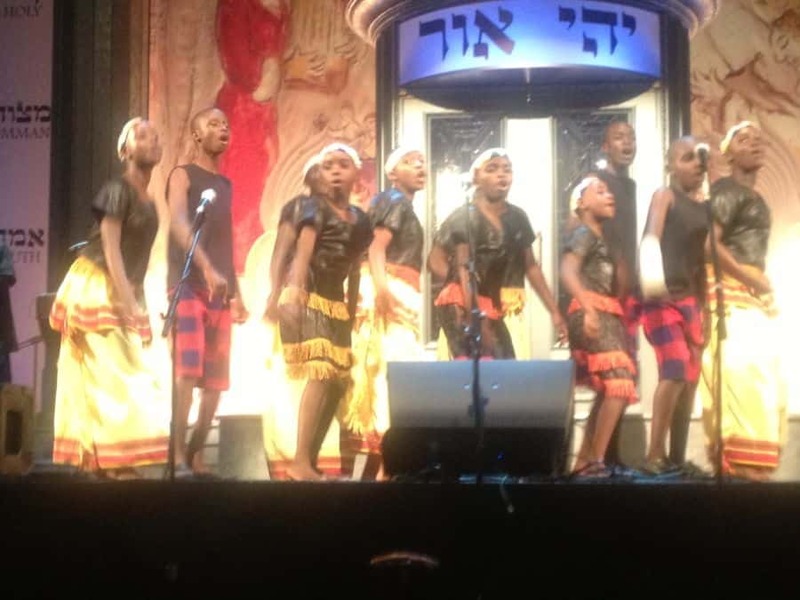 Chaplain Dov Cohen of Shir HaShirim –The Song Of Songs – Let’s Go To Shul – congregation was the instrumental party to have invited these Ugandan kids to perform in Beverly Hills. Mwamba means “rock” in Swahili. The Mwamba Children’s Choir that sings in 8 different languages, founded in 2008 by Stephen Sekitende to promote talent and change lives through music. The organization behind the choir helps orphans and disenfranchised children in Uganda to go to school and create future for themselves. Following the service and the performance of the Mwamba Children’s Choir, attended by Mrs. and Dr. Bernd Fischer, the Generalkonsul Of Germany in Los Angeles, nine actors read the play, White Rose, Leaflet of Resistance, written by Lillian Groag. The plot takes place in Munich University, during several days in February 1943 when several students were plotting to rise against the Hitler regime believing that if you support national socialism you burn in hell. They believed that honor is absolute; there is no difference between personal and national honor and you never mention Hitler when you speak about German honor. These students tried to take on the Third Reich with a typewriter and pamphlets. They did not think that the Gestapo headquarters was a place of thought and if one believed in Hitler one believed in anything. The real damage is done by those who want to survive, so they live small and die small; they keep quiet so that the bogeyman does not find them. And do you live safe rather than on the edge. The play lit a red light in my head. Scary as it is, today we are closer to 1938 than ever before. Today’s political conditions are perfect for another Hitler-like dictator to rise to power, here in the United States. If Obama could have the leverage to manipulate the political system even further, he could become that dictator. An interesting Friday evening of religion, humanism and politics.